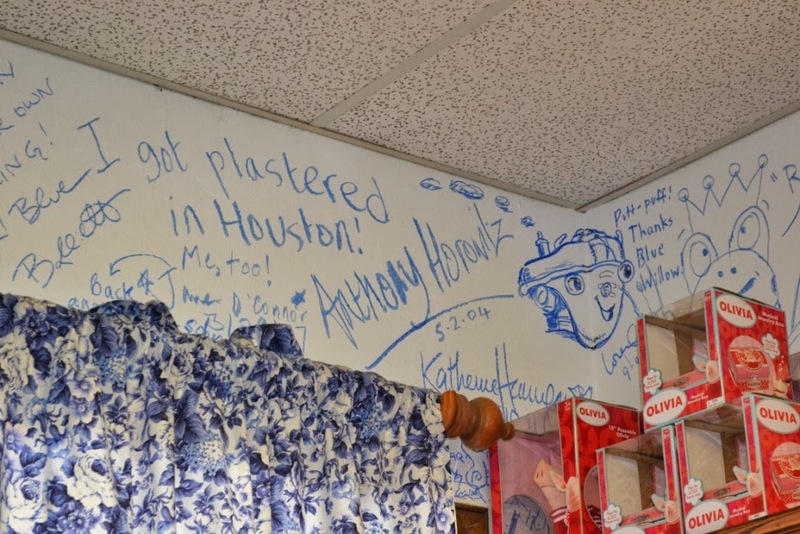 Valerie Koehler has been the owner of the Blue Willow Bookshop on Memorial Drive since 1996. 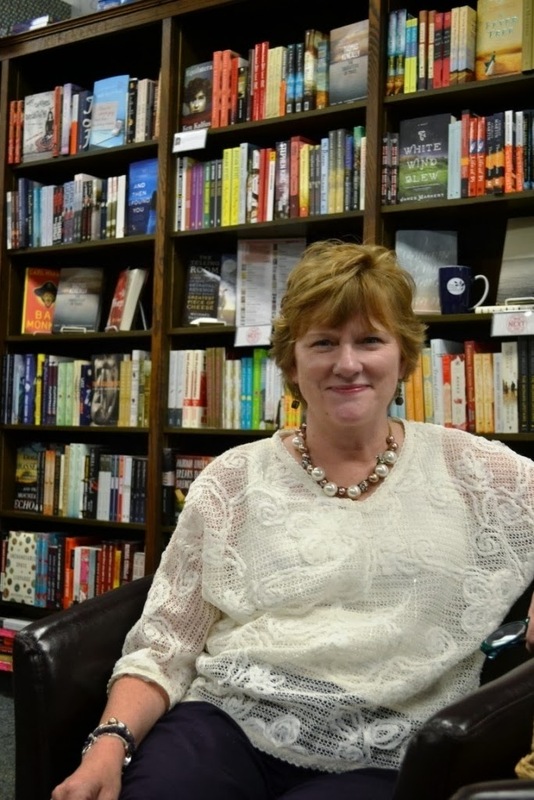 She serves on the boards of the American Booksellers Association and the Mountains & Plains Independent Booksellers Association. Her husband, Greg, is a partner in the bookshop and they have two sons, Will and Steve. I grew up in West University. We were a family of readers and West U library was our local library. I always loved to read but never thought that I would own a bookstore, that really wasn’t part of the plan. It sort of landed in my lap. I have a degree in Drama from the University of Texas and I worked in sales and then stayed at home with my kids. My husband’s in the oil business so we had lived in Houston off and on, but when we came back here for good, I knew I wanted to live in this neighborhood. 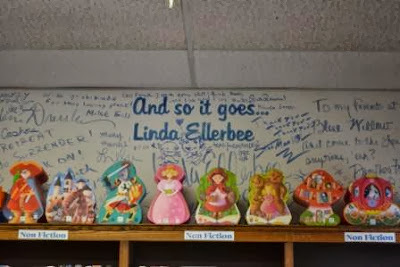 This book store was built in 1974 – it’s the only shop that’s ever been here – by a wonderful woman called Musabelle Naut and her bookstore was called Musabelle’s Books. The front of the store does look like it’s in a quaint old building, doesn’t it? Musabelle had lived in Europe for a while before she started this business and she wanted it to look like an old British bookshop, so that’s exactly how she had it decked it out, with the wood and brick. When my kids started school, I decided that I needed to do something other than serving on the PTA, so I came in here and said, “I’d like to work here.” I didn’t know exactly what I was thinking. I worked for free because I just wanted something part-time while the kids were in school. It became pretty obvious to me that she was ready to retire, she was ill and the store was in disrepair. So she offered it to me and I said, “I guess so!” I grew up in retail – my dad had a grocery store so I grew up working there and also during college so I knew retail. I think that was just as important as the love of books. I really didn’t have a huge knowledge of books, I just came to it as someone who loved to read. I read what I loved and I loved to talk about the books I read. I still love to surround myself with wonderful people who also like to read and that’s how we go. Musabelle had a lot of kids’ books but didn’t have much adult fiction when I first started working here. Now we now have children’s books all the way down one side, starting with birth and coming round to teens, and we have now a lot of fiction. We serve a number of book clubs, hosting the meetings here and I go out to speak to others about what books to read. I just love to talk about books! After the development of author visits was the whole social media thing so we added that – we’re on Facebook and Twitter and our newsletter goes out twice a month. I now even have a guy who does my graphic design. Basically I surround myself with people who do the things I don’t do well! So sixteen years later we are sitting here having a lot of fun. And we do try to make it as fun as possible. What advice would you give to someone new to running a bookstore? I would say avail yourself of all the wonderful resources that are out there in terms of support from the regional trade associations and the national trade associations. I serve on both boards right now and it amazes me the work that they do to support new bookstores, but they need to know that you need that help so I would reach out to a mentor. I am actually mentoring a bookshop in Temple right now. It’s part of a program I initiated in our regional trade association, to mentor other stores, because I would have loved to have someone to ask questions of. The other thing is to feel your way to what you want your bookstore to be and embrace that brand, embrace what you do best. We are not open Sundays, but I am here six days a week, pretty much, and there’s not a lot of balance. Over the years, I have tried to put myself in the position to let other people do things for me and that has helped a lot. I’m not really a control freak and there are things that I don’t like to do or I’m not good at, so it’s not hard to let someone else do them. However, it is hard for me to be in town and not feel I should be in the store, but it’s real easy for me to go out of town! And then I don’t think about it at all, literally, I put it out of my mind. Both my sons live in different states, so I visit them in Oklahoma and Tennessee. That all of us independent bookstores are great friends. We don’t look on each other as competition. In fact, we are doing a joint Twitter feed with Brazos Books and Murder by the Book, and putting together a website so we can all upload our events. Then people can go to and see who is coming to Houston and when, and it’ll link to all three of our websites. It’s a way of showing readers that we have a lot of authors coming to town and we want to encourage that. And we also want to show New York that we have what it takes. I think they are finally getting it but we still have times when I think, “Why aren’t they sending that author to Texas?” We have a lot of support here though, so they are learning. That’s the beauty of the independent book stores – all of us in the United States have such different flavors. We really meld to our town and become a community center. There has been a lot of talk about the demise of the printed word and of the bookstore, but the ones that have survived are thriving and new ones are opening because people are looking for that – it makes a community to have a thriving bookstore. We have each figured out what we do well and we go after that, rather than trying to be everything to everybody. We can all order books for people – you can order them on our website or you can come in and we can order them for you, but of course we can’t have every book so we have to pick and choose what we are going to focus on. And of course you can order e-books through our website too. I wasn’t born here, but I came here as fast I could! My sister works with me now and I can’t believe that five out of the six siblings are still here. We have all gone and come back. Blue Willow is really my happy place. I am here a lot. Just across the street from Blue Willow there’s an Indian restaurant called Nirvana, and you can pretty much find us eating there at least twice a month. My husband loves it and also he loves that it’s BYOB so we have a collection of wine that we can take up there. I love to venture out and go to different restaurants, though we don’t do it a lot. My husband and I are not fans of drinking and driving so probably my least favorite thing about Houston is that it’s hard to get anywhere unless you are in the car. I could rant and rave about that for a long time! 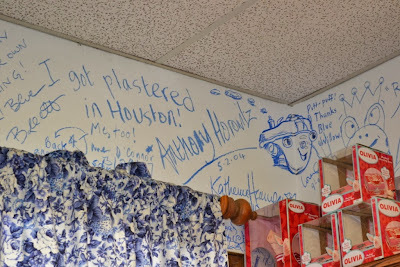 If there was one thing I would do for Houston it would be to improve the mass transit to take people to places – yes, to take us to Downtown, but also other places where the restaurants are and to the museums and all the really awesome places that we have here in Houston.